This is the USeP Gymnasium and Cultural Center of the University of Southeastern Philippines in Obrero Campus in Davao City. The 3,500 square-meter multi-purpose gymnasium is fully air-conditioned and can accommodate up to 8,000 persons. It is the first FIBA standard basketball court in the city. FIBA (Fédération Internationale de Basketball) or the International Basketball Federation is an association of national organizations which governs international competition in basketball. The USeP Gymnasium plays host to significant sporting events, school activities, large scale activities, and even concerts in Davao City. This project was made possible through the joint efforts of President Noynoy Aquino, Congressman Prospero C. Nograles, Senator Chiz Escudero, Congressman Karlo Alexei B. Nograles, and PBA Partylist Representative Mark Aeron H. Sambar. At last, I've been following ur blog and thank you and you featured USEP already in ur blog. 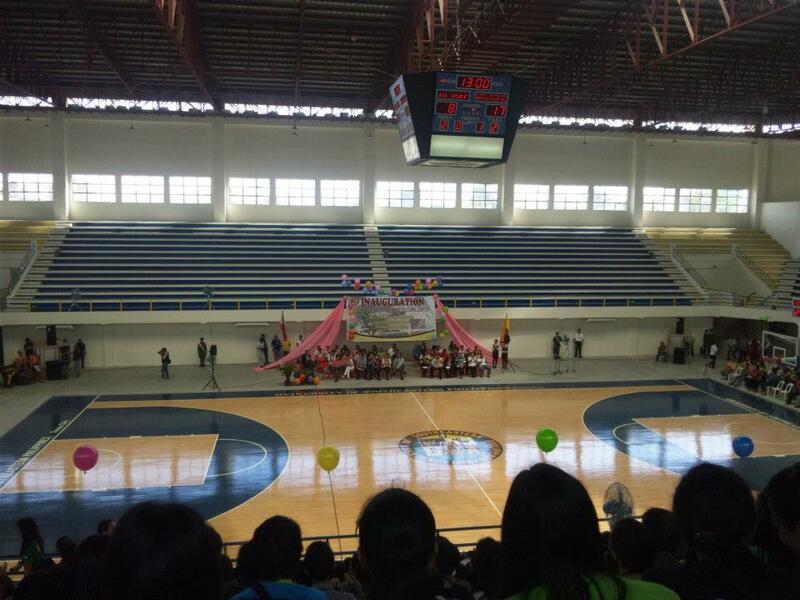 HCDC Gym is still way a lot better than this. .
One of the Biggest Venue/Hall in the island of Mindanao. The gymnasium itself is home various national and international sporting events and concerts. It can accommodate up to 5,000 to 7,000 seating capacity. Up to date, HCDC Gym is still the most advanced in terms of technology in the island of Mindanao. Go USEP. It is really a globally competitive school, how about for the following years. Hello, asking for affordable and walking distance hotel at the southeastern phil. Gymn and cultural center..